Aerial Photography is a professional activity! When you engage an Aerial Photography organisation and they are using a UAV or ‘drone’, how do you know they are safe and professional? Quite simple. You ask to see their Civil Air Authority (CAA) ‘Permission for Aerial Work’ documentation. If they are not able to provide this then any consideration you give them, financially or otherwise, renders their aerial activity in respect of your requests illegal. And since professional public liability insurance is intrinsically linked with a valid flight qualification you would do well to dramatically consider the consequences of an un-insured aerial platform falling out of the sky onto someone, or their property. So what does this ‘Permission for Aerial Photography’ tell you about an aerial operator? The obvious answer to this professionalism. It shows you that the operator is focused on safety, planning and risk management as well as possessing the physical flying skills required to successfully meet your needs. They have taken the time, attended the courses and exams and invested the sizeable financial sums that show you they are serious about what they do. 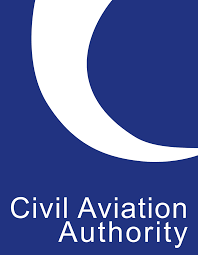 This is however best answered by revealing what is involved in achieving recognition for the CAA. 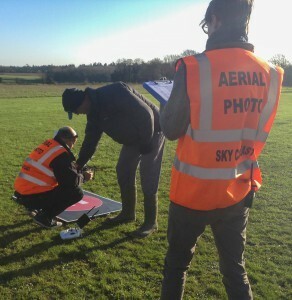 UAV flight courses start with a ground course! A recognised organisation sit you behind a desk for a number of days covering the areas that all pilots need to know. 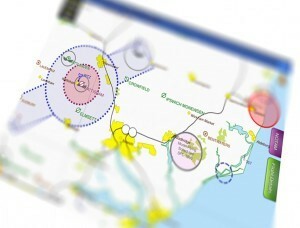 Air navigation, map reading, weather deciphering etc, together with safety, safety, safety. You are then tested on that acquired knowledge with a exam that reminded me of my ‘O’ levels (I’m old!). Fail this and it’s back to the drawing board until you pass it. Once this exam is passed the next phase is to create an ‘Operations Manual’. the flight exam. An examiner sets you a number of real world scenarios and operations. These will include operating the aircraft with some of the electronic assistance switched off. He will create emergency situations to see how you respond and will take into account your preparation, your logging – even your clothing. If attempt to take the test in unfavourable weather conditions, you fail. Pass this and you can finally approach the CAA and request your Permission for Aerial Work permit. Those UAV pilots that are serious about safety and professionalism have all done the above – all with the intention of proving that they, like us here at Sky Cam East, take extremely seriously everything that is involved in Aerial Photography using UAV drones. The Skys the Limit ! !